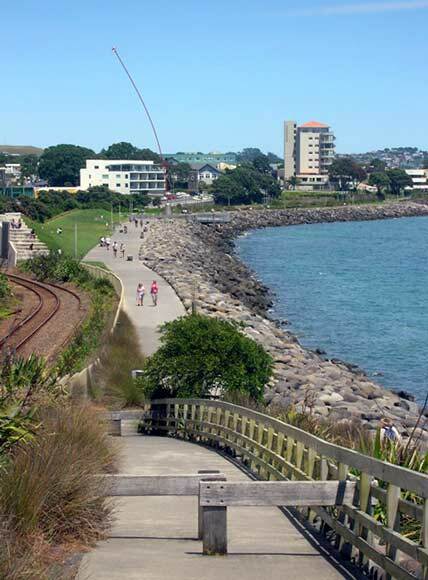 A 12.7-kilometre foreshore walkway at New Plymouth stretches almost the entire length of the city. The central part of the walkway, shown here, includes the Len Lye wind wand. Work on the walkway began in 1999 and in 2010 the Te Rewa Rewa footbridge over the Waiwhakaiho was opened, winning international awards for its design and engineering in 2011. Without being picky this needs a little updating. It has been extended to 12.7km. See the New Plymouth District Council page.